Looking for a mascara that curls and define lashes and stays on for a long time ? Luscious Curl Addict Mascara is an instant grab because of the uber cute girly packaging and one of the best mascara that holds a curl for an almost whole day. Read more to find more about it. Designed to dramatically curl and define eyelashes with a quick-drying waterproof formula, keep them supple with conditioning ingredients and strong with keratin. The curling brush features luscious curves to wrap around each lash (including lower lashes!) for the ultimate VIP treatment. My stash is full of those mascaras that claim curls and define lashes along with giving sultry voluminous lashes but they relatively fails to give either defined curl lashes or volume or they doesn't lengthen or clumps them, but this is not the case with newly launched Luscious Curl Addict Mascara, without anything second thoughts one of the best curling mascara for everyday use that serves its purpose quite well without being heavy on pocket. Luscious introduces the unique double helix style wand for an equal distribution of product without missing out a single lash even at the inner corner. The wand has soft bristles allowing controlled application so the building up curls are definition to the lashes comparatively easy and hassle-free. The formula indeed is a love. A perfect everyday formula , not too wet or not too dry but just PERFECT by setting quickly without giving you spider lashes in a go. Just because of its awesome formula I instantly grab it and apply it when I want natural looking, defined and curled up lashes without wanting too heavy and voluminous lashes. As I've got pretty defined lashes with little natural volume, so first coat gives me a perfect amount of most natural-looking and defined lashes with just right amount of curl with no makeup-makeup look. Also, I've noticed that it can hold the curl throughout the day without smudging or flaking, However if you are not careful whilst applying it, chances are very bright that you may notice a bit of clumping. The formula is waterproof, but you can easily wipe it off with any gentle eye-makeup remover or makeup wipes. You're looking for everyday mascara. You expect it to add natural length to your lashes. You want to get a mascara that hold curls throughout the day. You expect the formula is not too dry or not too wet. You are not a fan of a huge mascara wand. You want no smudging and no flaking formula. You are looking for waterproof mascara. It clumps up your lashes. You expect a great volume. You are not into a waterproof formula. 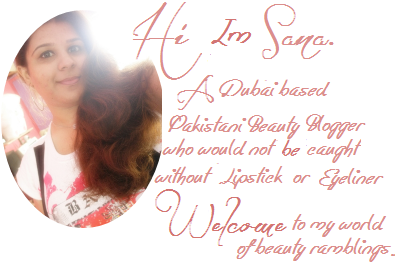 Luscious Curl Addict Mascara is priced $9.22 or 950PKR and can be purchased from Luscious Official Website here and also from Luxola.. They ship worldwide and nationwide. If you are living in Pakistan, you can get it from various superstores nationwide or Luscious official kiosk. What is your favorite most natural looking mascara? This product sent to me for PR and however has not affected my opinion at all I have given my 100% genuine and honest about the product mentioned in the post above . 55 comments on "Luscious Curl Addict Mascara [Review]"
Looks cute too!! i want this! Love the wand and the packaging. Great review! I actually quite like this mascara and how it looks on your lashes! Lovely curly lashes, great post! wow the packaging is super cute. I want it to store in my bag and make it look cooler. 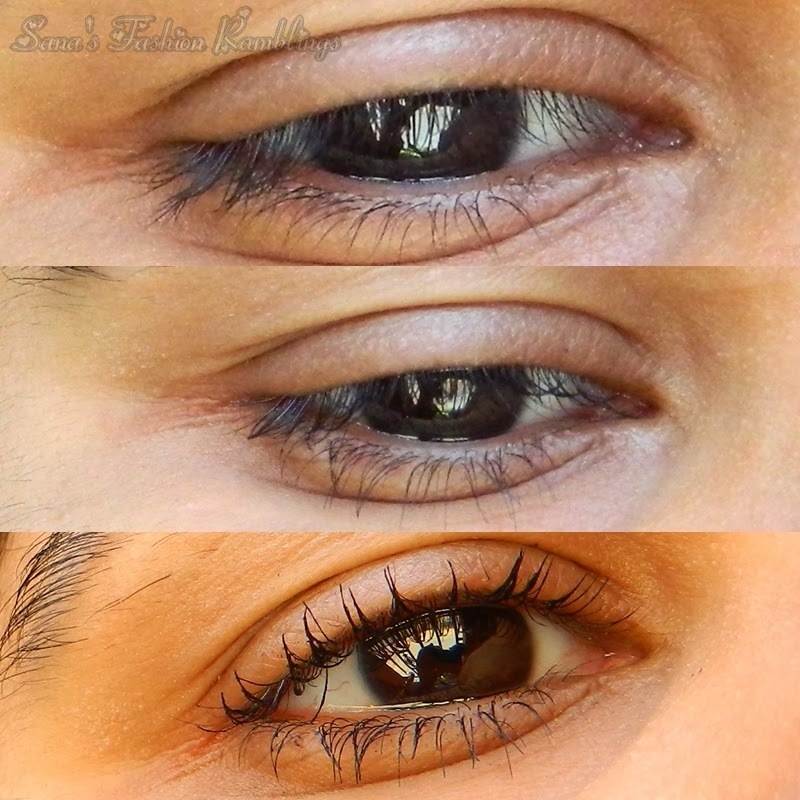 I have never used this mascara and by the result you showed here I probably won´t ever purchase it. wanna follow each other, dear ? let me know. That looks like a promising mascara! Frankly, I don't try out a lot of mascaras as I fear wasting them if I don't like them. I'm pretty happy with my Maybellines already. This sounds like a really great mascara! I'll have to try it out (: great post! Lovely to know you gave it 4/5, your lashes look beautiful and defined! That made quite a difference! Love that it's waterproof too! and the wand is so cute! :D Wish I could get my hands on this one! wooo i like the mascara brush..this is the best brush type ever!! Good review. Your lashes did look thicker and more defined. Being waterproof is an added bonus. How long does this mascara stay? I also want the curling feature. :) It looks really nice on you. this is really a nice review from you,hope girls will be helpful from your such review. seems like a nice mascara. your lashes did look thicker when using this. thank you for the review. Wow! I love the result. I hope it's available in our country so I can try it. The curl in the eyelashes can really add luster to the eye region to highlight the eyes further. That was a unique mascara - haven't tried it yet. Seems a good product! This suits for my lady here at the house. she needs this stuff for her eyelashes. Such a nice mascara! I love the cute packaging too. I wish it was available here too. Such a nice mascara! I love the cute packaging too. I wish it was available here. I really like the look of the wand! It looks great! I am in need of a mascara now. My bottle was already empty.